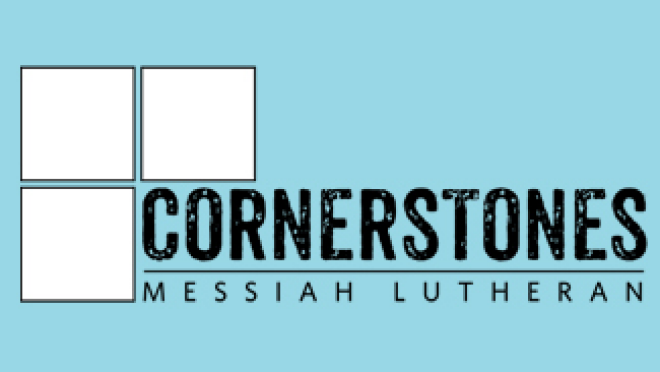 You are invited to Cornerstones, a 4-week introductory course. We'll spend three weeks studying the Bible, Baptism, Communion, Lutheran Christian beliefs and living faith in daily life. On the fourth week, Pastor Bob will host a delicious lunch while sharing about his vision for Messiah and you. At that time, you are invited to become a Partner in Ministry. If you're already a Partner in Ministry, but want to reaffirm your commitment and get a refresher on the basics of faith, you're invited to come too. If you haven't been baptized or been through confirmation, this is also a great opportunity to learn and prepare for your own adult baptism and confirmation.